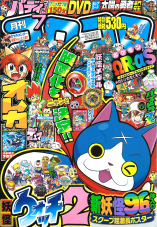 The manga adaptation of The Cocoon of Destruction and Diancie was printed in CoroCoro Comics, a manga anthology magazine that goes on sale around the 15th of every month. 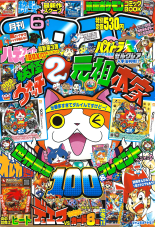 The first chapter premiered in the June 2014 issue. In the Diamond Ore Kingdom, a group of Meleecie gather around Diancie, their princess. The eldest of the Meleecie, Di, asks her to user her powers to create a new "Sacred Diamond" but she doesn't seem to have the power to be able to do so. Di tells her that she should seek out the legendary pokemon Xerneas, explaining that it used its "Fairy Aura" to restore life to the Allearth Forest after a terrible disaster. He goes on to say that if Diancie can receive this "Fairy Aura" then it will finally gain the power to create the Sacred Diamond. 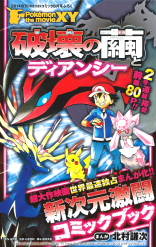 In Avignon Town, Satoshi and his Luchabre battle against Ayaka and her Mega Absol. After the battle is over, Pikachu hears a scream from off in the distance and runs off to investigate. Satoshi and the others follow and come across the sight of two thieves named Marilyin Flame and the Ninja Riot chasing after Diancie. Satoshi, always eager to help a pokemon in need, decides to help. He uses the crowd that starts to gather around to cover them while they give the two thieves the slip. That night, our heroes are eating in a restaurant when the Rocket trio sneak up behind Diancie and kidnap her! The trio makes their getaway to a clock tower where they order Diancie to make diamonds for them. Much to their surprise, she happily agrees! The Rocket-Dan are soon distracted by the mountain of diamonds Diancie creates, allowing her to search for a way out. She is soon rescued by a young girl named Millis Steel and her Birgarron. Satoshi and his friends reunite with Diancie just outside the tower and hear about what happened. Diancie explains that the diamonds she creates disappear after just a few moments and that she is therefore on a journey to unlock her true power. Satoshi asks if it's OK if they tag along, and Diancie says OK.
Back at the clock tower, the Rocket trio cries as they wonder where all their diamonds went. Up in the skies, a large metal plane flies through the air. A man named Algus Steel listens to a report being given by Marilyn and Riot. He tells them that they'd better find Diancie before she retreats underground, explaining that she'll be more difficult to find if that happens. The journey to find Xerneas begins. Several days pass and our heroes are on a boat headed to their next destination. Diancie tells Satoshi that she's having fun, so Satoshi tells her that that's what friends do. Diancie asks if the two of them are friends, and he responds that of course they are. The pokemon gets so excited that a diamond appears; Eureka thinks it's pretty and asks if she can keep it even though she knows it'll disappear soon. Diancie says OK.
Our heroes arrive in Orseille City where they are soon attacked by Marilyn and her Mafoxy. Satoshi stands up to her and tells the others to take Diancie somewhere safe. Serena and the others run off to a Saihorn Race Track where they ride on one of the Saihorn until they're a safe distance away. Once they dismount, however, they find themselves face to face with Riot and his Gekkouga! Riot goes after Diancie after defeating Citron's Harimaron and Serena's Fokko but is stopped when Satoshi, who has apparently finished his battle with Marilyn, arrives on the scene! Our heroes soon find themselves being saved by a number of allies - first the Meleecie from the Diamond Ore Kingdom and later by Millis and her Birgarron - before they're able to escape. Diancie leads our heroes to a cave that serves as the entrance to just one part of the Diamond Ore Kingdom. Once they arrive they notice that the Meleecie there seem to not have any energy. Diancie looks over at the Sacred Diamond and discovers that the unthinkable has happened; the diamond's life has run its course. After having a brief cry, Diancie clings to the idea that it's not too late and decides to renew her search for Xerneas. The search eventually takes everyone to the Allearth Forest, the very place where Di saw Xerneas use its Fairy Aura all those years ago. The forest has since become a forbidden zone since the cocoon that houses Yveltal, the pokemon who was the cause of the "Great Destruction" in the first place, is currently sleeping somewhere in the forest. Diancie and the group presses forward, following the Fairy Aura until they come face to face with Xerneas itself! The legendary pokemon tells Diancie that it already knows what it's come for and agrees to share the Fairy Aura with her. Once Diancie is granted the power to make real diamonds Xerneas runs off into the forest. Diancie is about to attempt to make a new Sacred Diamond when our heroes are attacked by Millis and Algus! It turns out that Algus is the boss of the thieves and that Millis is a thief as well! Suddenly, her Birgarron grabs the unsuspecting Diancie out of Satoshi's hands! Millis announces that they were waiting for Diancie to be granted the power to create real diamonds before making their move. Riot's Gekkouga jumps up from out of a nearby lake and attacks everyone - Millis and Algus included - with its Water Shuriken. Riot takes Diancie and runs off to a cave with a large lake in it. Everyone eventually catches up to them and each manage to grab Diancie for a brief moment - first Marilyn, then Millis - before the pokemon lands in Satoshi's arms. The thieves surround Satoshi, ready to attack. "Hand Diancie over to me!" they all demand separately. In the water below, Yveltal's cocoon starts to shake. The entire cavern starts to shake as the water in the lake froths below its intruders. Suddenly, the legendary pokemon Yveltal shoots out of the water! It stops in mid-air and looks down on Diancie and the others. Riot uses the distraction Yveltal's causing to grab Diancie and make a run for it. Yveltal flies up out of the cave, presses its wings together, and unleashes its Death Wing attack. The energy beam barrels goes the forest, drying up the trees in its path before finally hitting Riot's Gekkouga and two Tekkanin. The ninja's pokemon are turned into stone by the attack and fall out of the sky, motionless. Marilyn swoops in and grabs Diancie from a stunned Riot, but her Megayanma and Mafoxy are soon turned to stone as well. Algus and Millis grab Diancie next, flying on their Gilguard and Nidangiru respectively. Elsewhere, Xerneas looks out over the land and decides that it has to do something. Algus and Millis notice that they're being chased by Yveltal and order their pokemon to use Luster Cannon. Yveltal responds by knocking attackers out of the sky with Hyper Beam and then launching its Death Wing attack. Millis' Birgarron jumps in front of Millis at the last second and gets turned to stone and so Yveltal prepares to launch the attack again. This time, Satoshi's Pikachu steps in and uses Thunderbolt to deflect it away. Satoshi runs over to check on Diancie. Yveltal flies up higher and looks down. "Let's get out of this awful forest!" says the Rocket-Dan as they make a run for it. 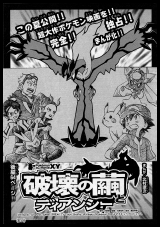 The trio and the forest all around them are soon turned to stone by Yveltal's attack. The wave of destruction soon sweeps over Riot and Marilyn, turning them into stone as well. Yveltal aims its next attack at Satoshi but Diancie steps in, produces a huge diamond in an instant, and blocks the attack! The diamond shield soon cracks from the pressure of the attack; it looks like Diancie still doesn't have enough power it needs to help everyone. Next, Yveltal uses Hurricane on our heroes. Once the whirlwind subsides dozens of Meleecie hop toward our heroes from the distance and announce that they'll protect their princess! The Rock-Type pokemon stack up on each other to form a wall that is hit by a Death Wing attack as soon as it's formed. More Meleecie pile up on the wall and so Yveltal turns those into stone as well. Before long all of Diancie's subjects are lying on the ground, motionless. To be concluded in the movie "The Cocoon of Destruction and Diancie!"